If we were under any illusions that the holiday wasn’t over, they’re shattered now. 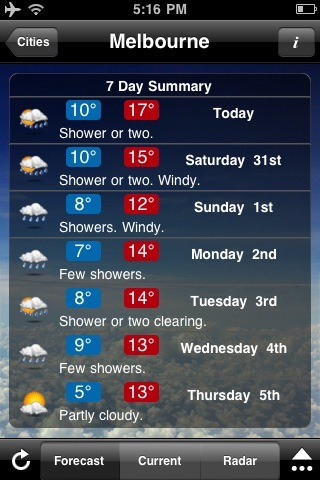 I may not leave the doona until Tuesday when I have to go back to work! About to board in KL for the last leg home to sunny Melbourne. And it was spot-on our weight allowance. Guy had an absolute ball here, more mechanical stuff than you could poke a stick at! 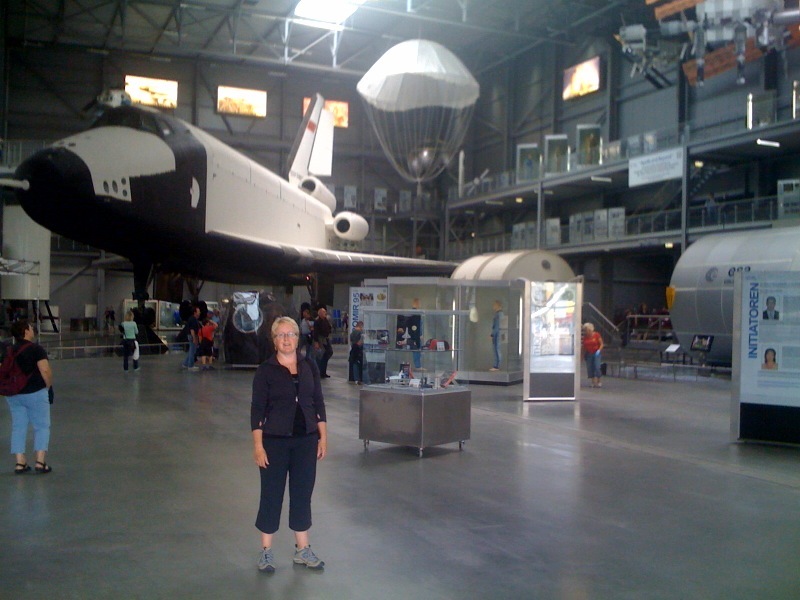 Needless to say it was a long day for me, although I thoroughly enjoyed the space exhibition (closet astronaut don’t you know) – that’s a Russian Buran space shuttle behind me with real burn marks on it’s underbelly! To add to the day’s excitement, we drove here. On the autobahn. By ourselves. I’m impressed by Guy driving, and also with Uli for lending us her car! a medieval festival in Bitche, France (funny how folk dressing up in middle ages garb is a lot more interesting when you have a real live castle as a backdrop) ; and Das Fest youth festival in Karlsruhe. Nice. 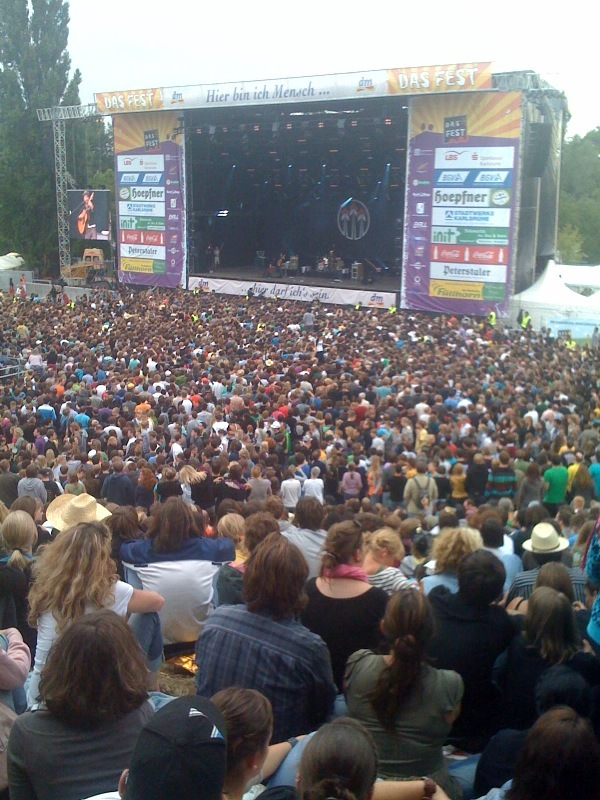 At the last one the John Butler Trio were on the bill. As well as a great group called Charlie Winston. Viel spass, as they say over here! 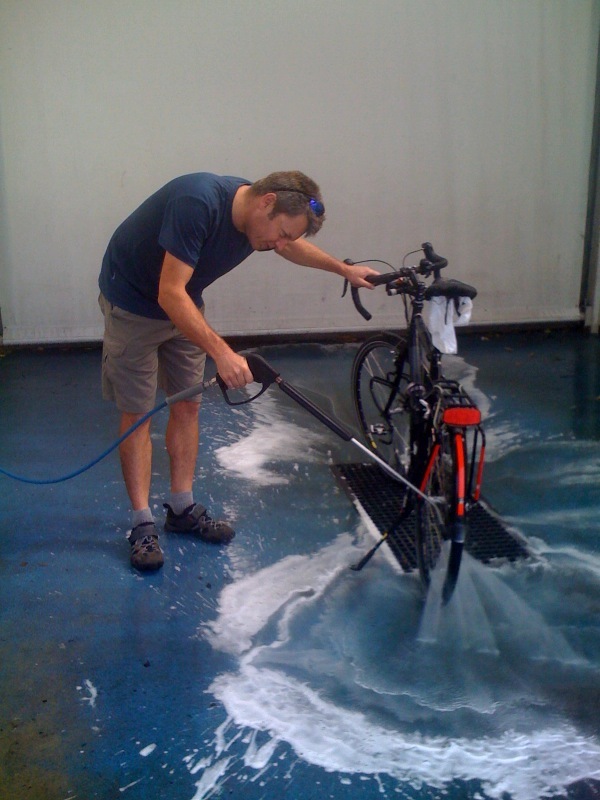 Bikes get a well-earned wash so that the hard-nosed Australian customs will let them come home! We’re enjoying a fantastic last day riding. We spent slightly more time in France than planned after a wrong turn, but no matter as the forests and valleys were beautiful. 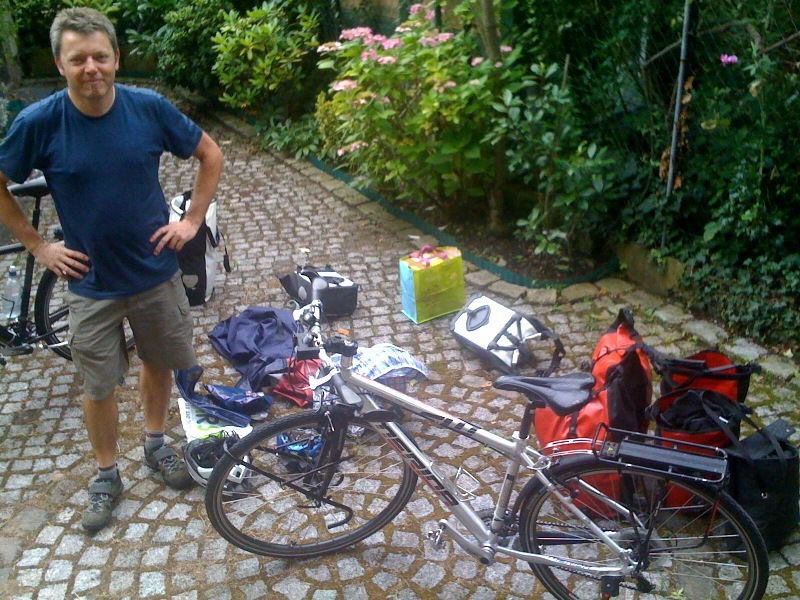 This trip I have two front panniers in addition to the back two. I still kept the packing the same (OK, I admit I went wild and brought an extra pair of shoes for town since we had so much socializing planned), so the extra panniers meant everything fit a lot more easily and I don’t spend each morning jamming stuff into every available space. 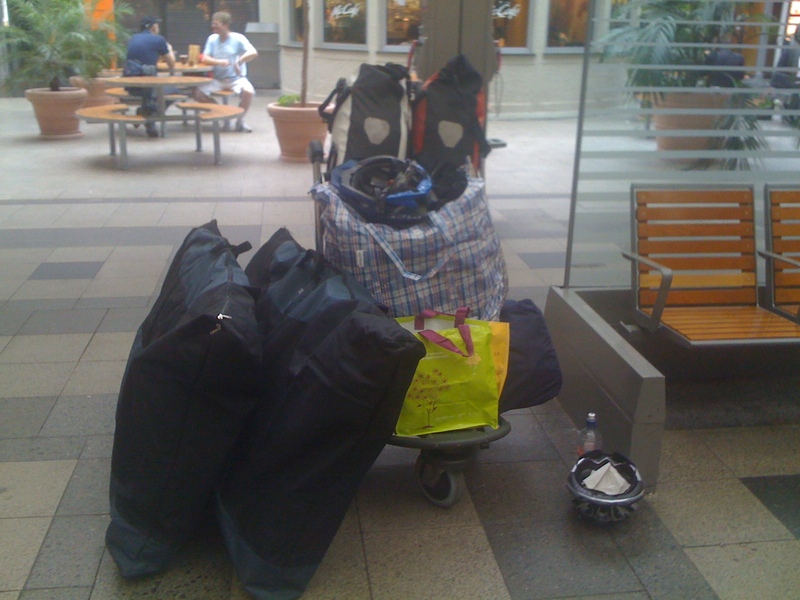 The extra space has proved handy the last few days when I have been carrying all this extra stuff! 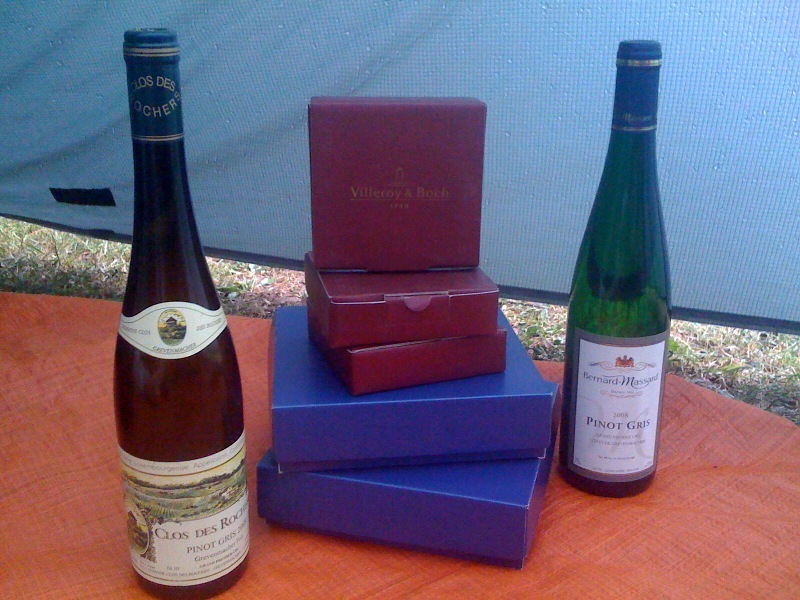 The boxes are a result of visiting the Villeroy & Boch HQ in Mettlach, and the wine is from the oldest Luxembourg vineyards on the Mosel. We’ll be drinking the wine back at Karlsruhe in a few days, but the boxes are coming home with us – I think getting them on the plane will be trickier than in the panniers! 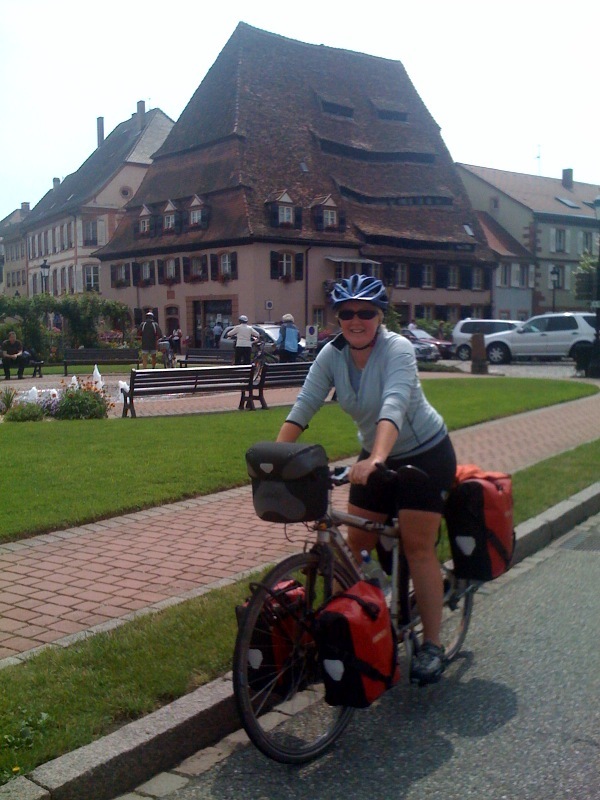 The front panniers have an extra benefit in that I can get the bike up stairs more easily. Also, they haven’t affected top speed adversly – I hit 53kph the other day, no death wobbles!